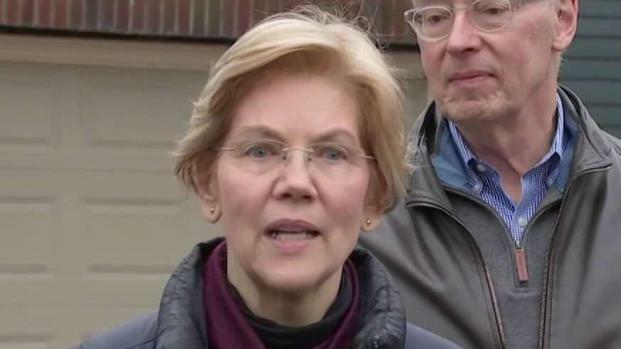 The Massachusetts senator said the video was just "one more way to be able to invite people into your home"
Sen. Elizabeth Warren, R-Massachusetts fielded questions on Beacon Hill before her Iowa visit. Soon after announcing that she was exploring a potential 2020 presidential run, Democratic Massachusetts Sen. Elizabeth Warren broadcast a live video on her Instagram feed Monday showing her drinking a bottle of beer as she cooked dinner. But what kind of beer was she drinking? Warren revealed Wednesday that she was drinking a Michelob Ultra, "the club soda of beers," as she called it. What kind of beer was @SenWarren drinking in her Instagram video? Michelob Ultra, folks. “The club soda of beer,” she said. Warren said Wednesday that the Instagram video was just "one more way to be able to invite people into your home... so that we have a chance to talk about what's going on." The Instagram video was panned by some as a failed attempt to appeal to younger voters. "Elizabeth Warren seems more like a chardonnay senator than a beer senator," Boston University politics professor Tobe Berkovitz told the Boston Herald this week. "It’s just sort of trying too hard … and people have pretty good radar for that sort of thing." Warren has said that she plans to announce in early 2019 if she will run for president. She is heading to Iowa this weekend, where she said she plans "to get out there and talk to people about what's happening in this country. Washington works for the wealthy and the well connected, but it needs to work for everybody else." 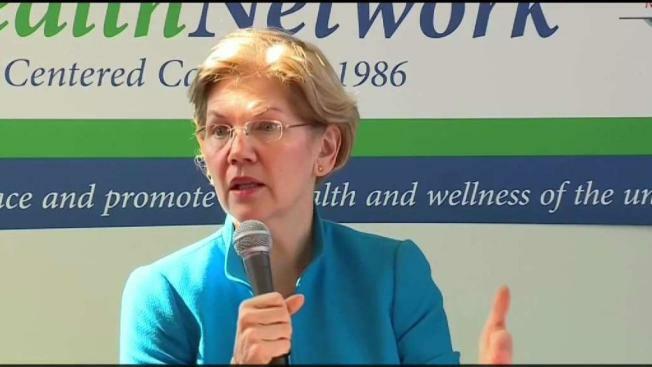 Asked if she's planning to visit New Hampshire anytime soon, Warren said, "I sure hope to. I hope to get out and talk to people everywhere."